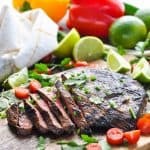 An easy grilled flank steak is transformed into juicy, tender, and flavorful Carne Asada -- with just 5 minutes of prep work! 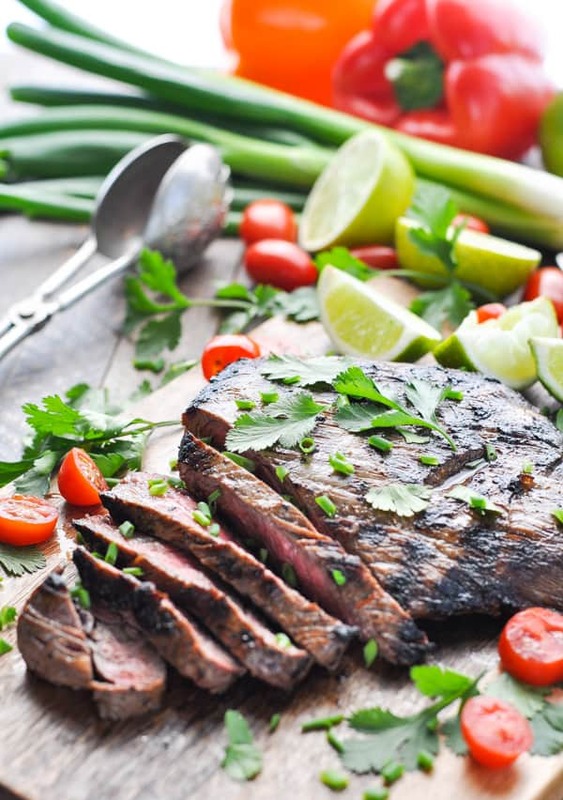 This delicious Carne Asada recipe is sponsored by Moink. Thanks for supporting one of our favorite companies! 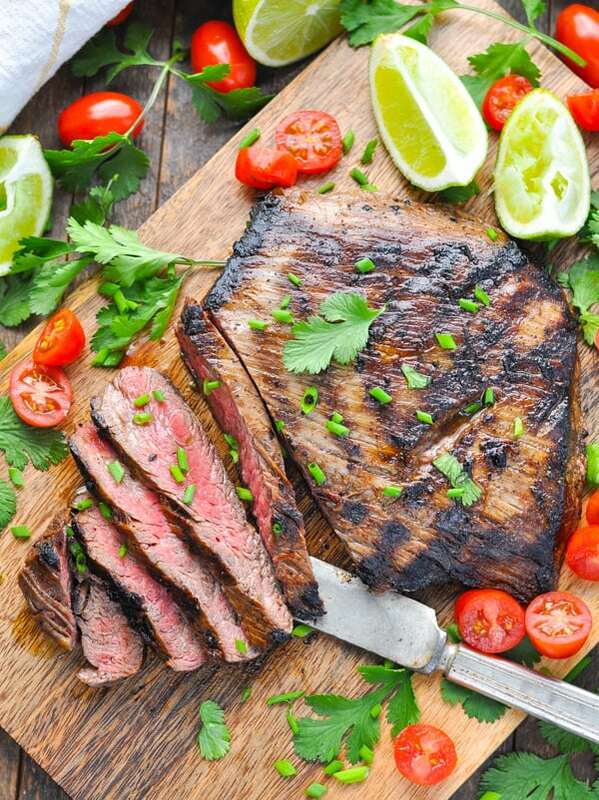 An easy grilled flank steak is transformed into juicy, tender, and flavorful Carne Asada — with just 5 minutes of prep work! 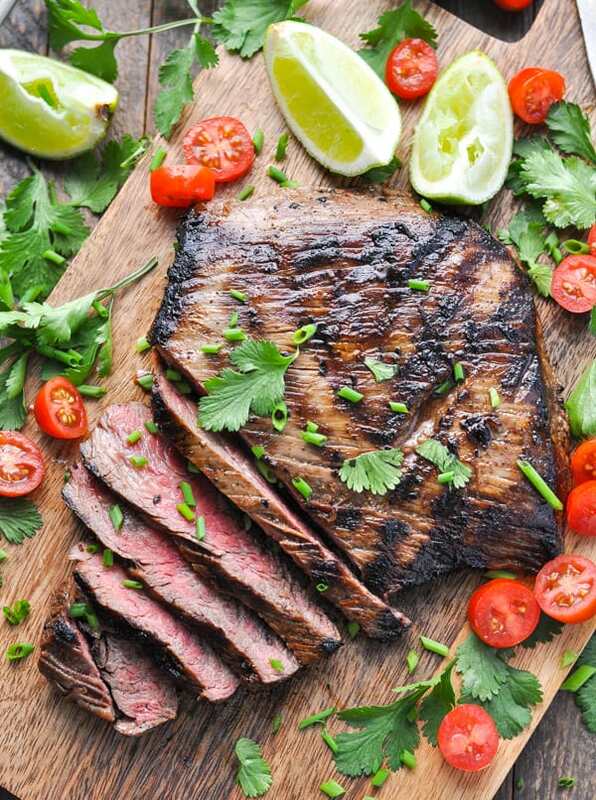 Thanks to a simple Latin American-inspired steak marinade, the charred meat is perfect for salads, tacos, burritos and quesadillas. 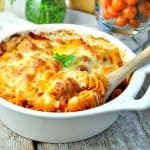 This is one family-friendly entree that you can enjoy all summer long! Carne asada translates to “grilled meat,” which gives us a pretty general, blank slate when it comes to crafting an actual recipe. 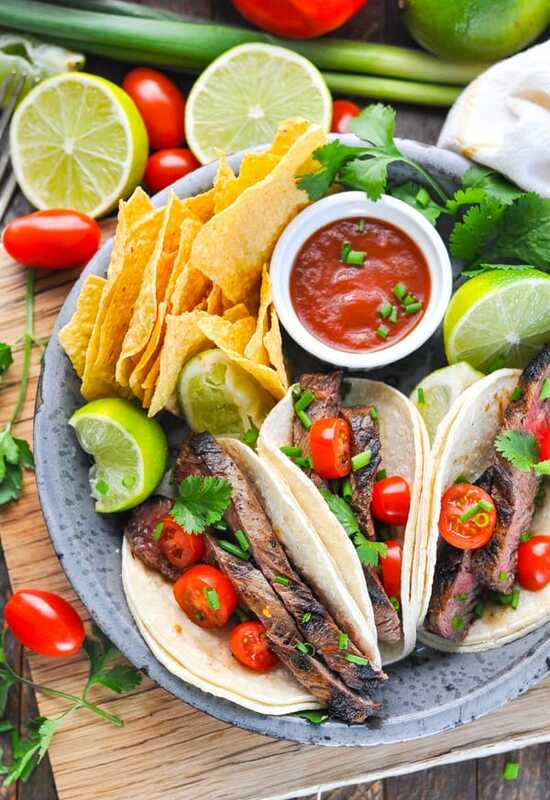 If you’ve tasted carne asada at your favorite Mexican restaurant, then you probably enjoyed grilled beef that was marinated in a zesty, citrus-based sauce with plenty of Latin American seasoning like cumin, cilantro, and of course, garlic! 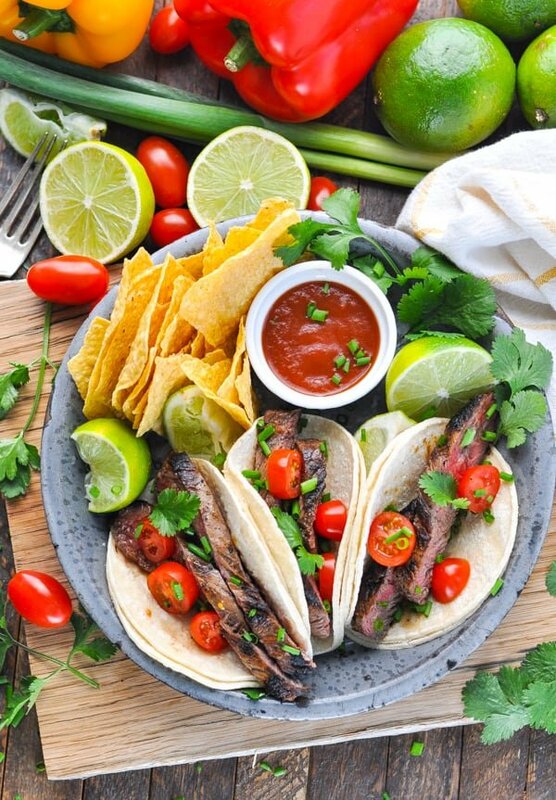 I put my own (very easy) twist on a carne asada steak marinade at home, and let me just tell you — it was a BIG hit! After all, I live in a house full of 4 boys — and they’ve never met a taco or a steak that they didn’t love. This is basically the best of both worlds! 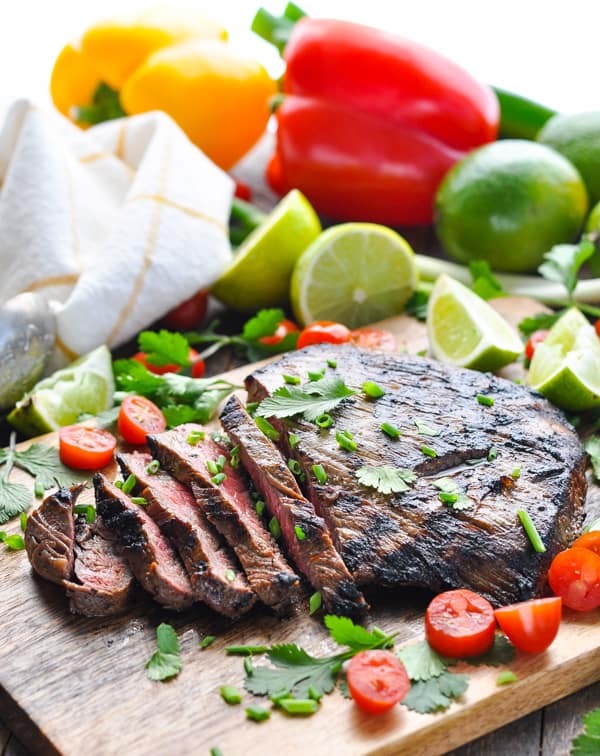 When serving “grilled meat,” or carne asada, the quality of your beef is obviously the key to a delicious dish. That’s why I’m so excited to tell you about one of our new favorite companies! Moink is a farmer owned and operated community that ships humanely-raised, ethically-sourced meat directly to your door. Who doesn’t love coming home to find THE BEST meat waiting for you on your porch?! 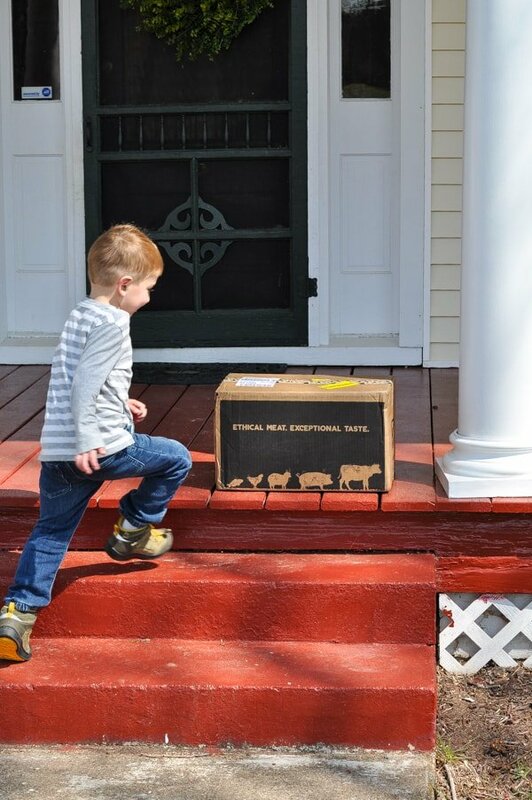 Moink Boxes are perfect for busy, health-minded families who want quality, ethically-sourced meat straight from farmers at a reasonable price. Bonus points if it’s delivered straight to my door with FREE shipping! As a mom, I love to know exactly where our food is coming from and exactly how it was raised. 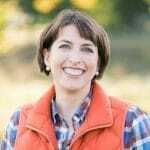 Moink’s website offers information about the farmer partners and shares an inside look at their farms and ethical practices. And don’t worry — these boxes are fully customizable! You will not get stuck with any type of meat or seafood that your family doesn’t like! Instead, you can select the items for your box based on exactly what your family loves most. For instance, I selected the Beef, Chicken and Salmon Moink Box for our first order. It was packed with plenty of beautiful wild caught salmon from Alaska, chicken, ground beef, and a few different gorgeous cuts of beef — including this flank steak for my carne asada! This beef is some of the best tasting meat that we have ever consumed! The flavor is unbelievable, and I appreciate that the Moink meats do NOT contain antibiotics, growth hormones, genetically modified grains, artificial colors or solutions, sugar, or nitrates/nitrites. Like me, many of you might be wondering whether or not this beef is grass-fed or grass-finished (and what the heck is the difference)!?! Well, it turns out that the term “grass-fed” is becoming more and more open to interpretation. All cows start out the first year of their lives on grass, so companies are twisting that term even though the cows are sent on to feedlots. 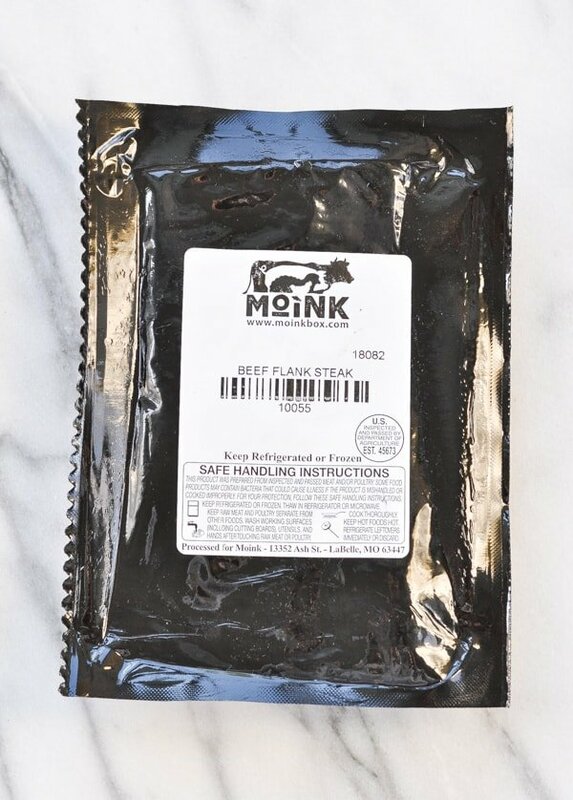 Moink beef is grass-fed AND grass-finished, meaning the cows spend their ENTIRE lives on the farm, often with the same caretakers. They are often harvested right on the farm with artisan processors, which just makes my heart and mind happy. 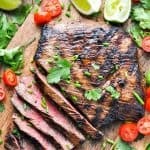 Once you’ve got a high-quality piece of flank steak from your Moink Box, this carne asada recipe comes together so easily! 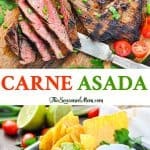 How do you make a Carne Asada Steak Marinade? A 4-year-old can whisk together the marinade in about 5 minutes (trust me…we’ve done it), and then you just leave your meat in the refrigerator to soak up all of the delicious flavors. So simple, right?! 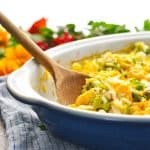 You’ll notice that this marinade is very mild, since I was creating a family-friendly dish that wouldn’t send my kids running from the kitchen with fiery mouths. 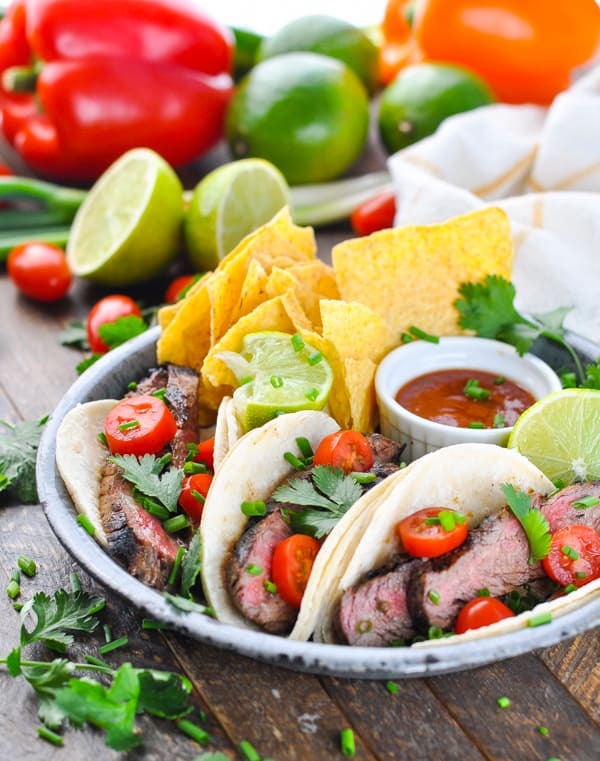 That said, if you prefer more “kick” to your carne asada, you can add jalapeno or crushed red pepper to the marinade, or just serve individual plates with a garnish of jalapenos and hot sauce. As Memorial Day quickly approaches and you fire up that grill, I hope that you’ll try your very own customized Moink Box. It’s an easy way to feed your family quality meat and fish at an affordable price, and it also makes a GREAT gift for that Dad who seems to have everything. Hint, hint: Father’s Day is right around the corner! If you have any questions about how the process works, or what is included, feel free to check out Moink’s website here, or shoot me and email and I’ll be happy to help. I’m SUCH a big fan! If you order a Moink Box right now, be sure to use my discount code to get $20 off your first order! Enter code “theseasonedmom” at checkout. Plus, you can sign up for Moink’s newsletter to receive more special offers, the latest news and an inside-look at their farms. 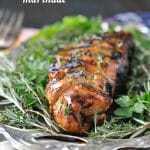 Place flank steak in a large (9 x 13-inch) baking dish. 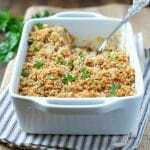 Whisk together orange juice, lime juice, olive oil, salt, garlic powder, cumin, and oregano. Pour over steak. Cover and chill for at least 1 hour (or up to 8 hours), turning occasionally. Prepare a hot fire by piling charcoal on one side of grill, leaving other side empty. (For gas grills, only light one side.) Place food grate on grill. Place steak on lit side of grill. Grill, covered with grill lid, over medium-high heat (350° to 400°) about 20 minutes, flipping halfway through. 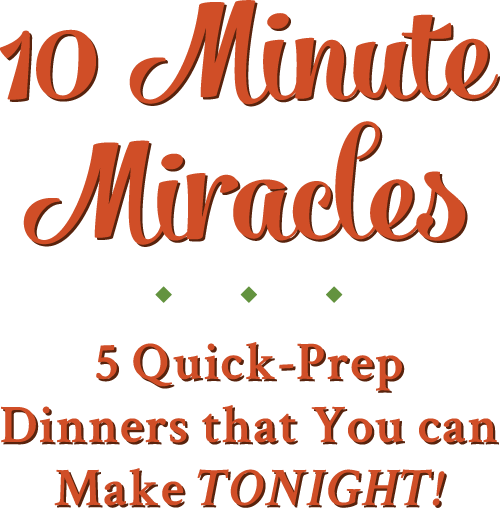 If you are cooking a smaller flank steak (about 1 lb. ), it may only need about 15 minutes on the grill. The steak is done when the edges are charred and crispy, and you see some nicely dark searing on the top. Check the temperature in the thickest part with an instant-read thermometer: 115 to 120°F for rare steak, 120 to 125°F for medium-rare steak, 130 to 135°F for medium steak, and 140 to 145°F for medium-well steak. Let stand 5 minutes before slicing against the grain and serving. Heat your broiler to HIGH. Place an oven rack a few inches below the broiler. Line a broiler pan with aluminum foil, add the broiling rack, and spray with nonstick cooking spray. Place marinated steak on prepared broiler pan. Slide it directly under the broiler. Cook for 4 to 6 minutes, flip it over, and broil for another 4 to 6 minutes (8 to 12 minutes total). I feel like this would satisfy both Jesse and I – Jesse will eat anything as long as there’s meat whilst I’m all about the flavours! This marinade sounds perfect! TOtally! Our whole family loves this one! I don’t know what you think about the other things that are not working out. The man was not the one that got me to do the work. He was the first woman in a man and he had no children. Anyways, thank goodness for you and your recipe!